If you have any questions about the VEGA information page below please contact us. Coming from the Cnl (Cantieri Navali Lavagna Amy / Admiral Mariotti Yachts) ship building company in Italy the VEGA is 33 metre 108 (ft) in length. 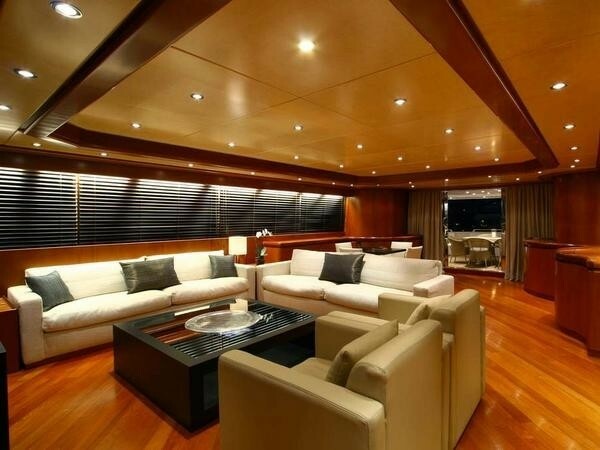 Superyacht VEGA can accommodate up to 10 guests with 6 crew. The old, former or build project names are 95 Admiral 32; Imbat. She is able to attain a top speed of 26 knots. Cnl was the naval architecture company involved in the formal nautical design work for VEGA. Also the company Cnl expertly collaborated on this undertaking. In 2000 she was formally launched with triumph in Lavagna and post sea trials and detailing was thereafter delivered to the owner. Cnl (Cantieri Navali Lavagna Amy / Admiral Mariotti Yachts) completed their new build motor yacht in Italy. Her hull was crafted from aluminium. The motor yacht superstructure is fabricated extensively from aluminium. With a width of 7.5 metres / 24.61 feet VEGA has reasonable size. She has a fairly shallow draught of 2.35m (7.71ft). The 12V 396 TE94 engine powering the yacht is built by MTU. Coupled to the VEGA engines are twin screw propellers. The main engine of the ship gives 2285 horse power (or 1707 kilowatts). She is fitted with 2 engines. The sum thrust for the yacht is therefore 4570 HP / 3414 KW. 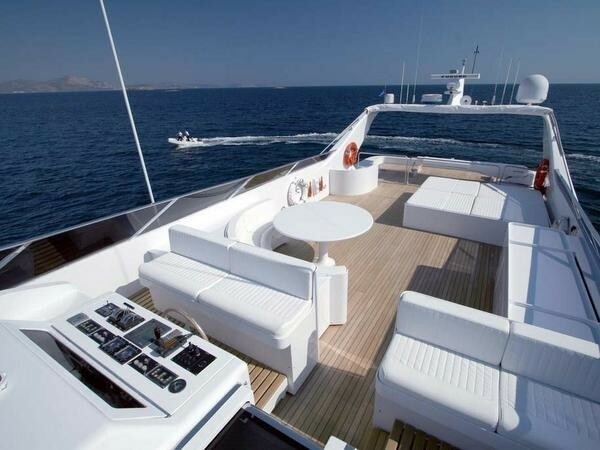 Offering cabins for a limit of 10 yacht guests staying on board, the VEGA accommodates them in luxury. Under normal conditions she uses circa 6 professional qualified crew to operate. 33 metres / 108.27 feet. 1 times 18 kilowatts, 1 times 14 kilowatts. 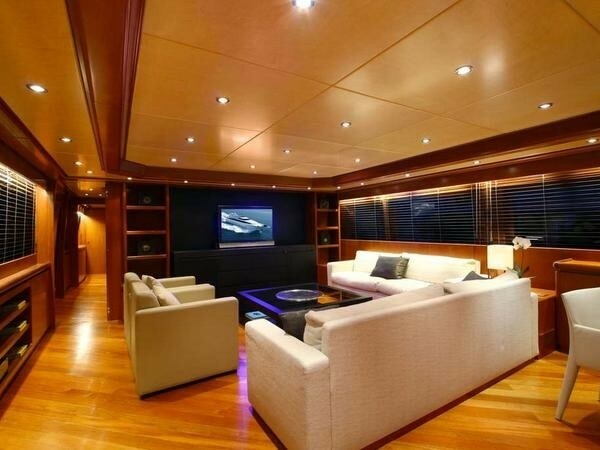 The luxury yacht VEGA displayed on this page is merely informational and she is not necessarily available for yacht charter or for sale, nor is she represented or marketed in anyway by CharterWorld. This web page and the superyacht information contained herein is not contractual. All yacht specifications and informations are displayed in good faith but CharterWorld does not warrant or assume any legal liability or responsibility for the current accuracy, completeness, validity, or usefulness of any superyacht information and/or images displayed. All boat information is subject to change without prior notice and may not be current.